During the holidays, people are looking for a sense of intimacy, a warm fuzzy feeling, elating experiences and emotions. * One of Ajujaht’s Top 30, GoInvite is an initiative that seeks to solve those quests – all-year-round. The team participated in Ajujaht to convert their idea into reality. GoInvite Team Manager Evelin Mitt says that the mobile app they are creating will work in two ways. “If you like, you can use the app to invite even complete strangers to your home. If you don`t want to have anyone over yourself, then you can use the app to find a cool place or people to visit,“ explains Evelin. The hosts can add their home event information and participation criteria in the app. The guests will have a convenient map application solution which shows them nearby home events. For users` safety and transparency, you have to register on the platform with a user account, which ideally will be linked to another existing user account like Facebook or Google. Evelin says that there are many popular solutions in the world where strangers invite you to their home for a meal. She believes GoInvite is taking a step further. “We are going to build a simple digital solution and open the door for a much wider circle (for example karaoke or board-game lovers) and link it to a map application,“ she said. The initial app target group is primarily 18-30-year-olds, who want to find new friends through different kind of meet-ups and experiences. 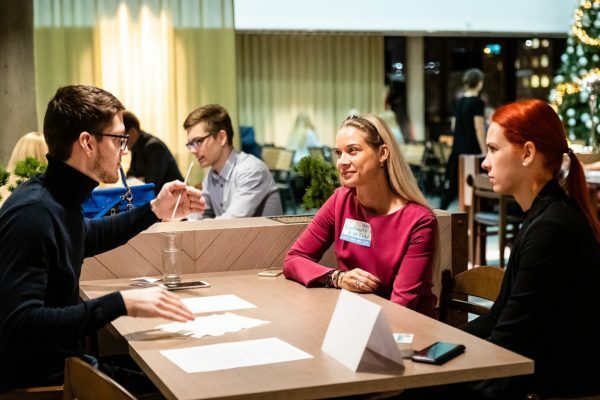 The concept of the idea will first be tested as a pilot project on foreigners and students living in Estonia. However, their ambition reached further – Evelin is not afraid to dream about entering the US and European markets. Currently, the idea is being tested to get better input for development. This is your chance: if you would like to participate in the pilot project as a host, then write to info@goinvite.app or contact Evelin through GoInvite’s Facebook. 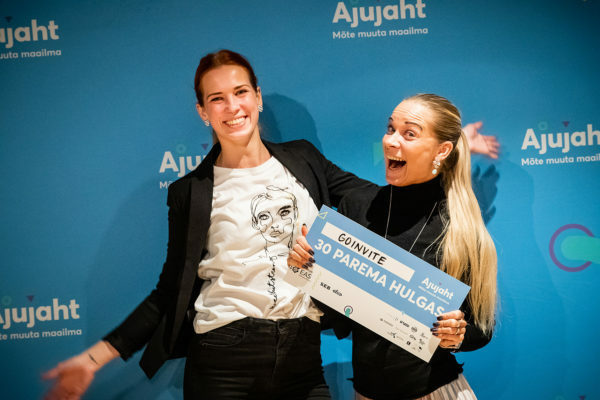 The GoInvite team hopes to finish the first version of the app already in spring 2019, when the Ajujaht TV programme will also run. Until then, the Ajujaht team wishes everyone a wonderful end of the year, heart-warming experiences and cosy social gatherings! *There is substantial research claiming that it is 16-24-year-olds tied to their smart devices, and not so much older people, who feel lonely.